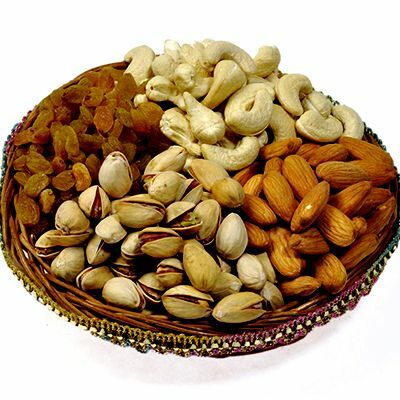 At every single occasion, dry fruits have been used to give as a gift to the loved or closed ones. It is not only a tasty and healthy way to show your love, but also a great gift for any occasion. Nikos, therefore, offers a wide range of Roasted Dry Fruit In Pune Mumbai at the most sensible price that fits into your budget. Their goodness and richness in the taste make them ideal for all the occasions. Being the most determined Roasted Nuts Suppliers In India, we packed them properly and deliver it to your doorstep within a promised time frame. We make its packing attractive as per the need of our customers, so, it attracts the heart and the eyes of the receiver. Why Are Organic Dry Fruits The Best And Healthy Gift Option? Healthy And Impressive Gift: If you are willing to give a healthy gift to your loved or closed ones, so, this is something you need. This gift will for sure loved by your recipients. Easy To Customize: You can simply customize the box and tray of Organic Dry Fruit accordingly and gift it to your entire staff, clients or co-partners. It’s a perfect gift that raises your brand image and helps you get a lot of appreciation in return. Perfect To Make The Occasion Grand: Make your festive or any other occasion grand and be ready to surprise your loved or closed ones. You can gift them a box of dry fruits with a special card and it will for sure bring a smile on their face. To buy Fresh Roasted Dry Fruits in India, call us directly at the given numbers. We are in the niche for the past many years and you will for sure get the best you deserve from us.